Welcome to the Penzión Centrál in Zvolen. We are a guest house which offers accommodation and catering in the form of breakfast. We provide the opportunity to organize business meetings, education trainings and corporate events in specialized room. We provide free parking in the guest house complex for our guests. 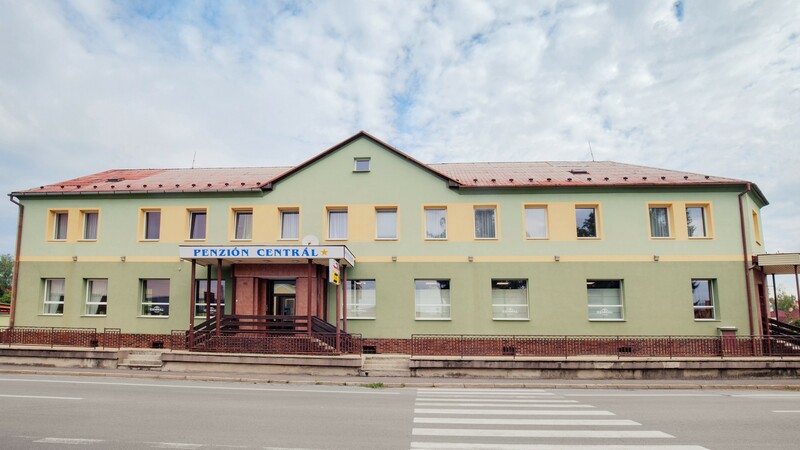 Penzión Centrál has a tradition since 1926 and it is the only accommodation in this part of Zvolen. It offers standards of a two-star hotel at a one-star price. Currently it provides accommodation in two single rooms, three double rooms, two triple rooms and two suites. Rooms are spacious, also suitable for families with children. Guests can also accommodate small pets and all guest rooms are non-smoking. Accommodation can be booked online and free of charge. Prices are unbeatable and they can also be paid by credit card. Customers can also book a room with a terrace. Our staff speaks two languages. We provide private car parking with plenty of parking space, a terrace with barbecue facilities, Wi-Fi / LAN internet access 1Gb/s, a private entrance opened 24-hours and a luggage room. The history of the Penzión Centrál in Zvolen dates back to 1926. Today it offers accommodation in two single rooms, three double rooms, two triple rooms and two suites. Private parking in the complex, access to the private entrance and Wi-Fi internet access are free of charge for guests. Urban SK is the owner and operator of PenziónCentrál since 2016. URBAN SK, s. r. o.